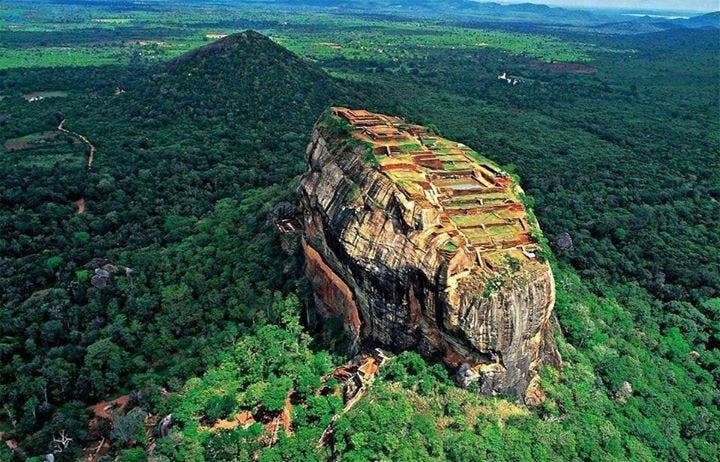 The Sri Lankan lion rock (Sigiriya) is an ancient palace of archaeological and geological importance. The site is dominated by a massive column of rock nearly 200 metres (660 ft) high. According to the ancient Sri Lankan chronicle the Culavangsha, this site was selected by King Kasyapa (477 – 495 CE) for his new capital. He built his palace on the top of this rock and decorated its sides with colourful frescoes. Sigiriya today is a UNESCO listed World Heritage Site. It is one of the best preserved examples of ancient urban planning, and it looks simply amazing.